Here you can find new, antique or used instruments that come out from my workshop or have spent some time in it. 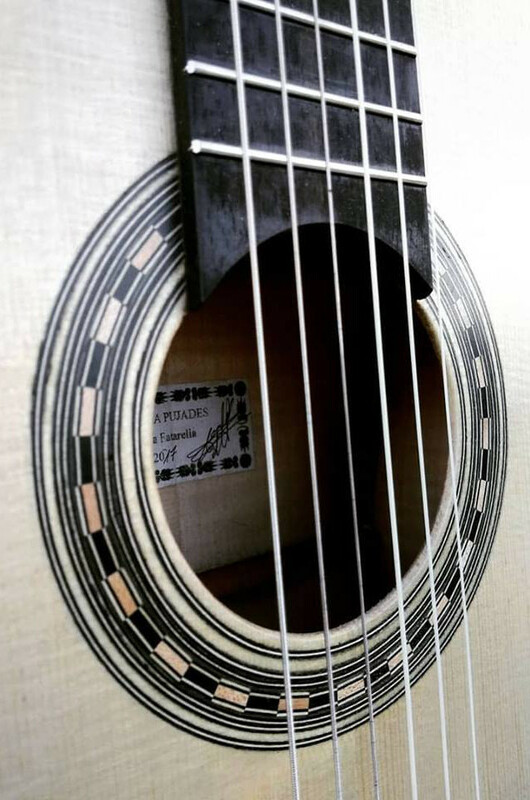 Romantic guitar copy of Pagés, Cádiz ca. 1825. 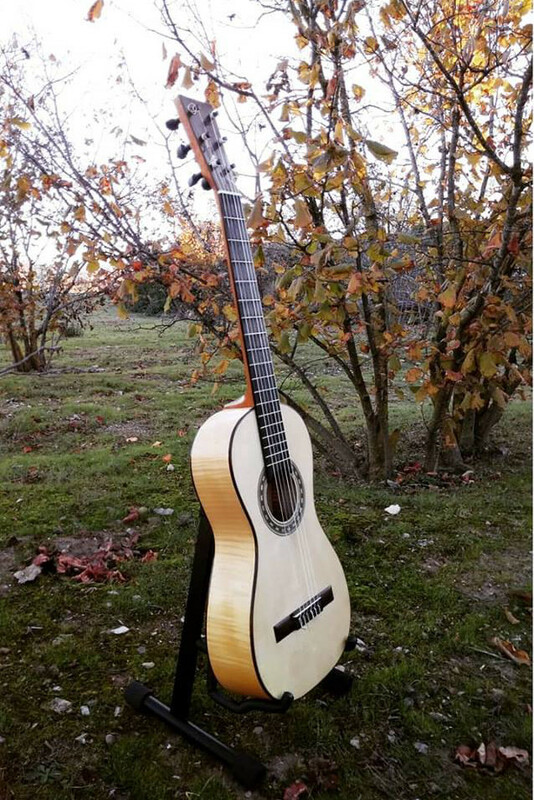 Used for near one year and revised with action and pulsation of a classical guitar, but with the warm sound of the first 19th century andalusian guitars. Soundboard made of spruce, soundbox of flamed maple, Spanish cedar neck and ebony fingerboard. Wittner mechanical pegs with appearance of wooden pegs. String length: 660 mm.